God has a great sense of humour. 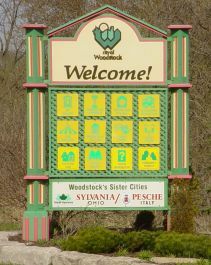 The vision of Christian Radio comes alive above the Woodstock Optical store in 2003. 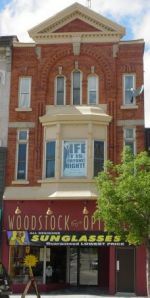 The first antenna was also placed on the roof of this building at 419 Dundas Street in Woodstock, Ontario. The studio was also located on the second floor of this building. 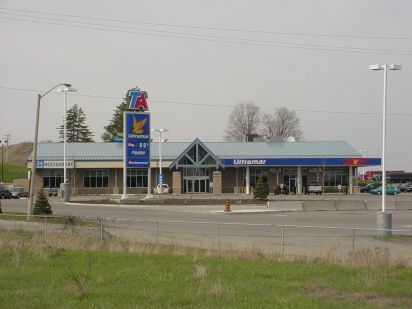 In November of 2004, the station was relocated to the TA Travel Centre at the junction of Mill Street and 401. 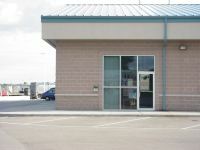 This location has allowed us to grow by adding a business office as well as a larger studio, both on ground level, for easy access. On April 25, 2005, Faith FM Woodstock officially changed it's name to CJFH Hope FM 94.3, to avoid any confusion with our sister station Faith FM in Kitchener, and to create our own identity. Here is a shot of the back of the TA Travel Centre, the entrance to HopeFM. Here are our recording studio and offices. Christian Radio now has a permanent home in Woodstock. 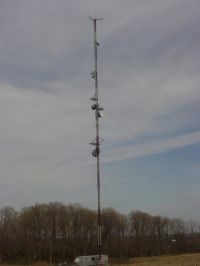 In 2007 our our antenna and transmitter was moved to Bower Hill, the highest elevation point in Southwestern Ontario. 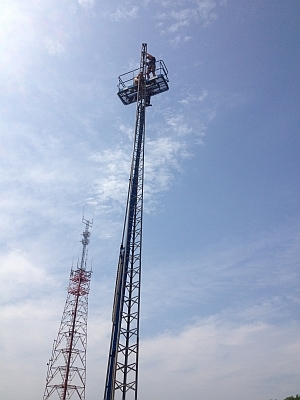 This is one of the highest points in Oxford County and the best location for a radio antenna. Christian Radio is here to stay and is becoming the high point for many listeners each day. 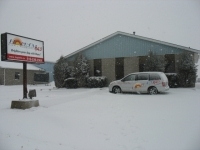 Then in 2008 we moved our offices and studios from the TA Travel Centre to a more spacious space at 1038 Parkinson Ave. This new home was a double blessing to HopeFM and its staff, in that it enabled us to more than doubled our space while at the same time lowered our costs considerably. Although we did the work of moving our equipment and getting the rooms ready, the Lord's hand was clearly evident in everything behind the scenes and for that we are all very grateful. In 2013 we got a new tower! During that whole experience we were off the air briefly and then found both our transmitter and our attenna needed repairing. The Lord provided again! Many thanks to HCJB Global and the HCJB Technology Center in Elkhart, Indiana for the excellent repair job they did on our Crown transmitter. We were soon bacak on the air sharing the Good News of the Gospel and Hope for a Brighter Day!